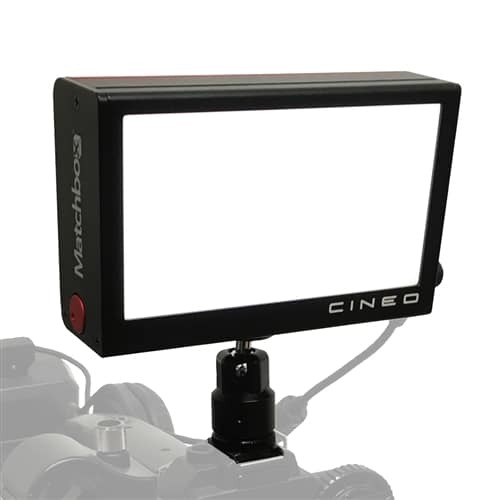 The Cineo Matchbox on-camera light from VariZoom utilizes Remote Phosphor Technology (RPT) panels activated by powerful LEDs for completely accurate color output and glare-free, broad dispersion. 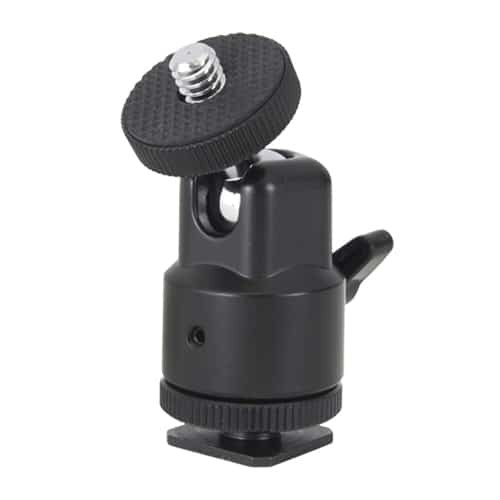 This kit includes our handy swivel shoe-mount for easy attachment to most cameras. The onboard dimmer maintains silent, flicker-free output with zero color-shift throughout the entire brightness range. 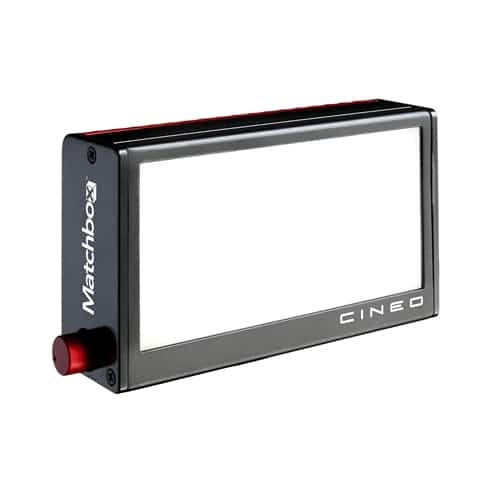 As an on-camera light, the Matchbox is without peer, but it can also be used as a compact field or studio light due to its rugged, flexible design. Compact (3″x5″) and lightweight (under 1lb. ), the sculpted aluminum casework’s high-end look underscores the cinematic performance level of the Matchbox, but also provides weather-resistant durability backed by a 2-year warranty. The onboard dimmer allows extremely fine adjustment of luminous output without any change in color temperature. The Matchbox is utterly silent and flicker-free at any level. 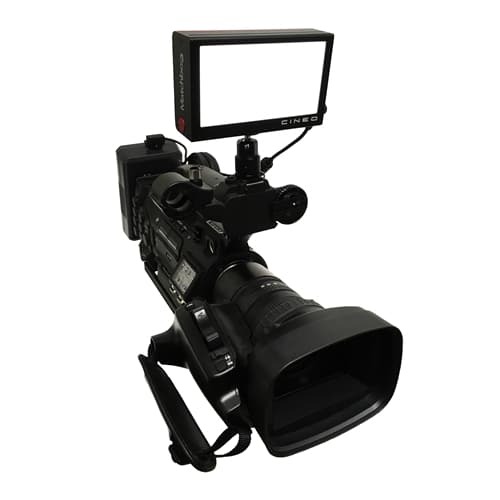 The unit comes standard with an AC adapter (6ft line cord, 12ft of output cord), but it can also be powered from a variety of batteries 6-26VDC using our back-mount Sony NP-F battery plate or D-tap cable. 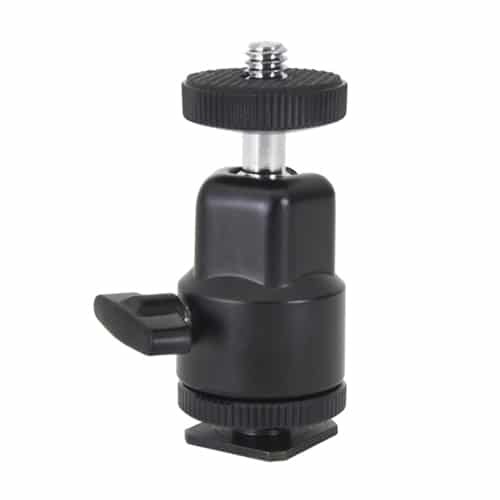 A standard 1/4″-20 female socket on the base of the unit allows for a range of mounting options, and with this kit a ball-head shoe-mount is included for attachment to most cameras. 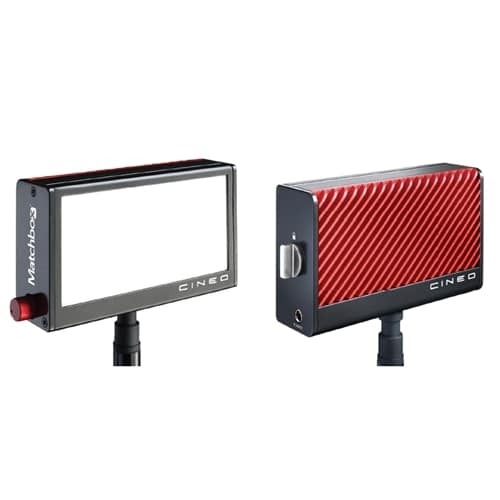 A broad selection of light-control accessories are available, including barn doors, louvers, and softboxes. 3.25" x 5.25" x 1.5"